Welcome to the Piccolo Mondo! 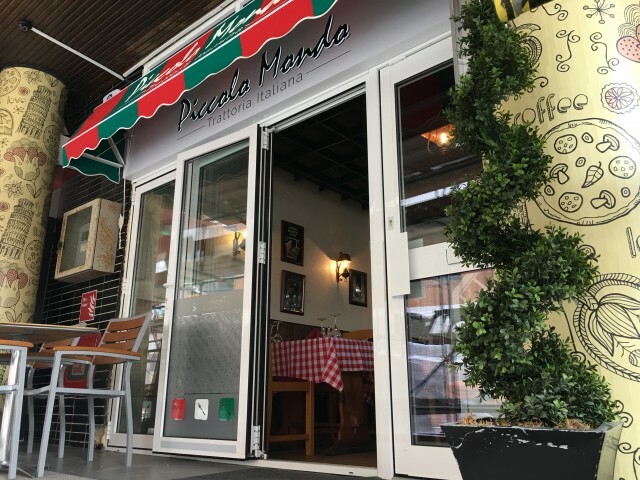 One of the area’s most friendly, and welcoming Italian restaurants, Piccolo Mondo 1 is the oldest in the city, having been established since 1969. Piccolo Mondo is open for lunch and evening meals. With seating for only 34 people, it is small enough to have an intimate atmosphere, but also welcomes families. There is a good choice of value for money meals including authentic pizzas and pastas, together with a selection of fish, meat and vegetarian dishes, and not forgetting their home-made bread and desserts. Smaller sized meals are available for children. Parties of up to 25 people can be catered for.